Australian House & Garden have featured McKinley House in their special renovation issue. Why? Because the architectural outcome seamlessly combined the charm of a beautiful federation home, with light filled, contemporary living. Old and new are clearly separated, but there is a clean, contemporary aesthetic that flows throughout. 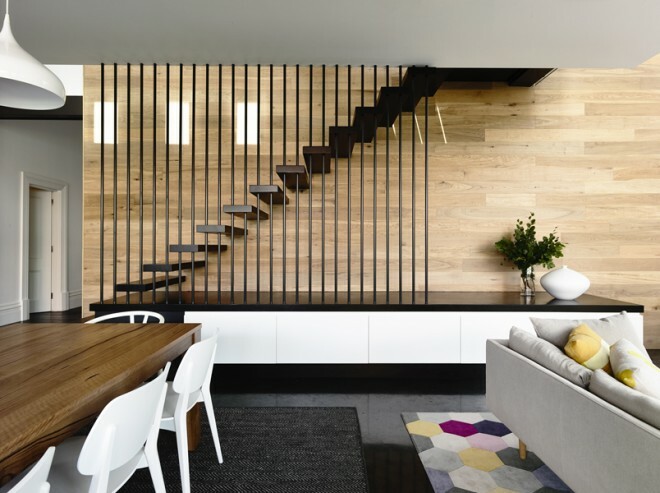 Key features of this home are the stunning feature timber wall, the polished concrete and the clever zoning which allows for a growing family.